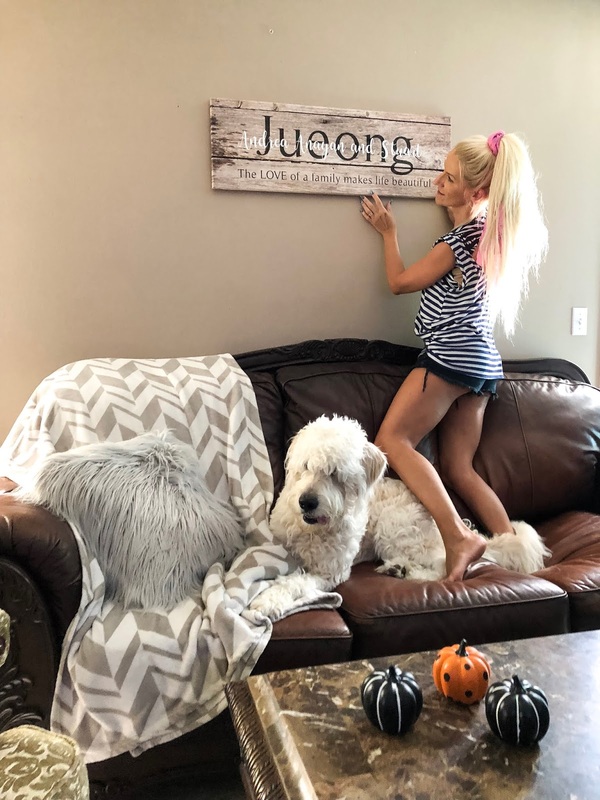 Add a cozy family name canvas to your home. This personalized canvas with your family's last name and family members names is literally everything! When I received my wall art, I was thrilled. It matched perfectly and looked just as great on my wall as on the website! It is exactly what I was looking for to fill the space! I know Christmas is still months away, but this canvas would be a perfect gift! You can personalize this canvas to your liking (size, text, pictures..etc.) My canvas is 24x40 and it's just a perfect size for our cozy living room. Check out Canvas Vows for more inspiration here! Shop my Canvas Vows here.